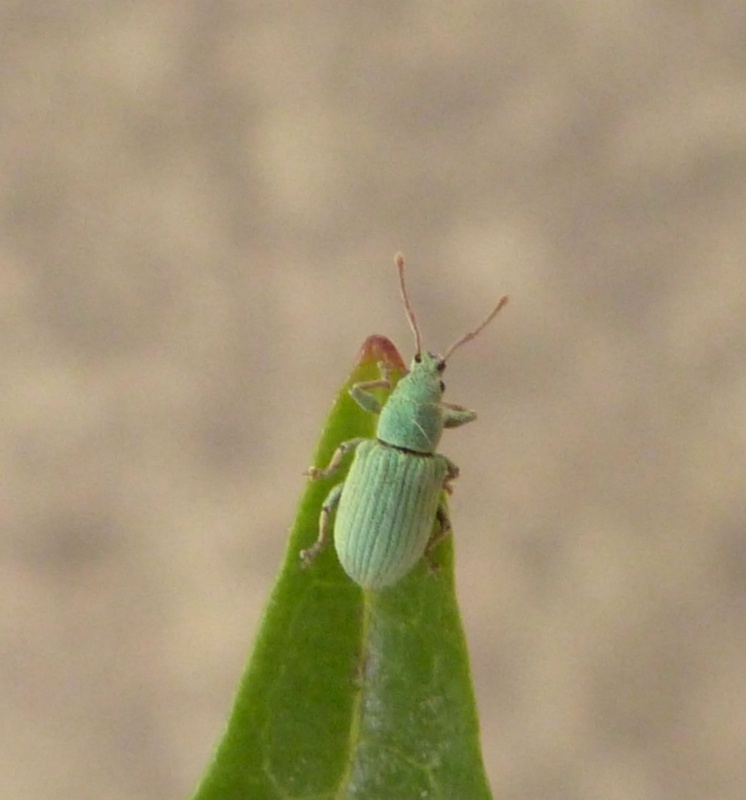 Length 4 or 5 mm. 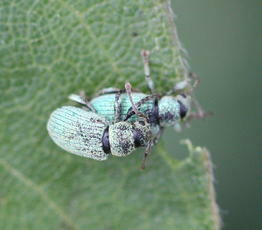 A bright metallic green or bluish nettle weevil. 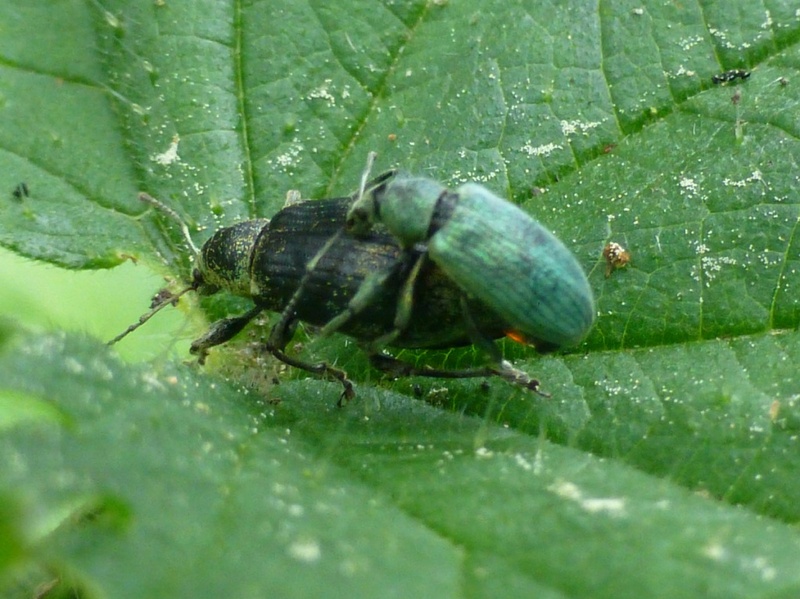 Phyllobius virideaeris lacks the femur teeth found on the majority of UK Phyllobius species. It can be distinguished from the similar P. roboretanus by the gently sloping rear end and also by examining underside. P. roboretanus only has a thin covering of fine scales, with much of the underlying surface visible. In P. viridiaeris the underside is densely coated with round scales, the same as the upperside. 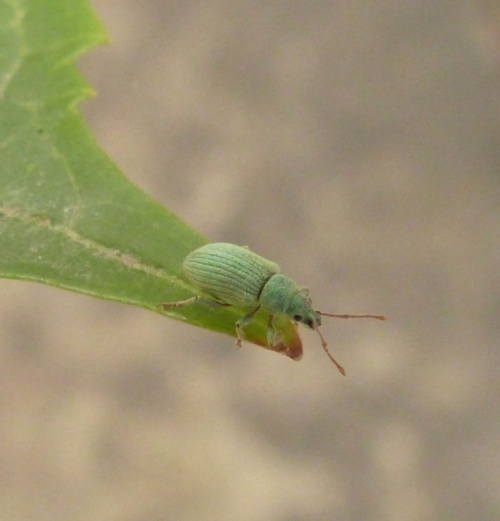 Phyllobius virideaeris also appears rather later in the year. 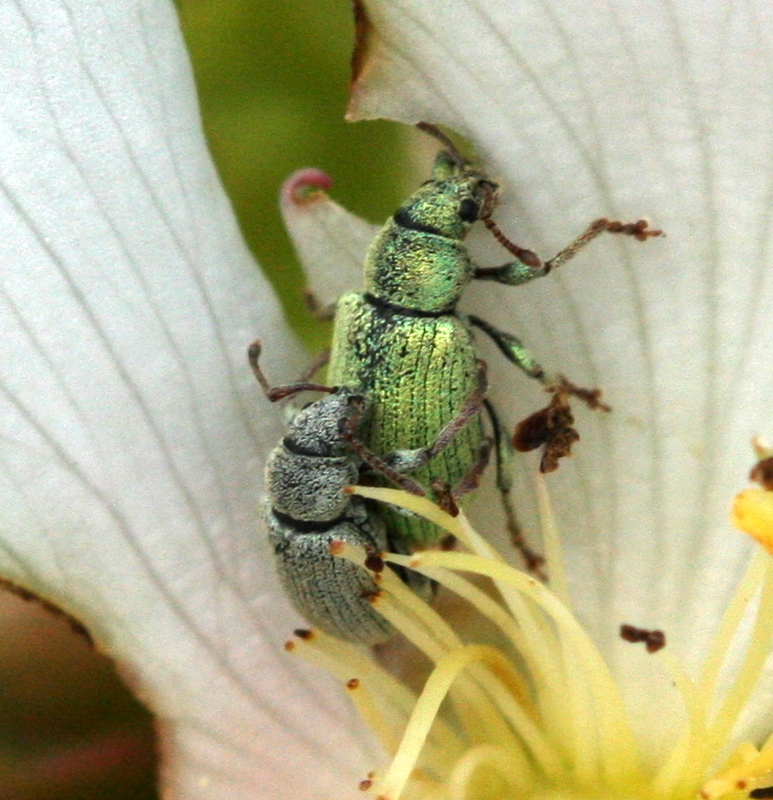 See our ID Guide to Phyllobius weevils. May be found in rough grassland and on neighbouring bushes and hedges. Best mid May to late July. 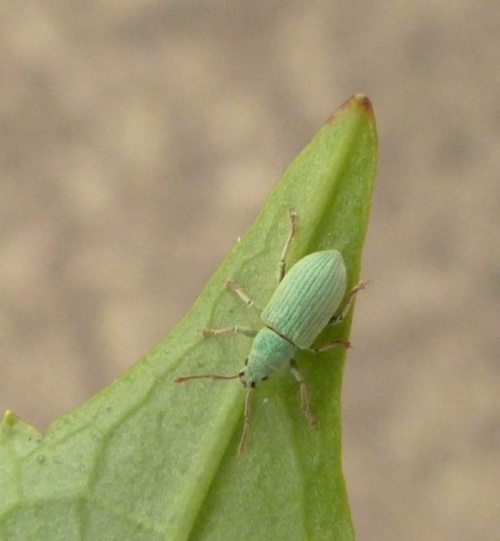 The larvae are subterranean, feeding on a range of herbaceous roots. A common and widespread weevil occurring throughout England and Wales and with scattered records across southern Scotland.